Jane, however, had an early attraction to words. Her Papa, who was also the rector of the village church and ran a school for boys in the large house, was in the habit of reading stories aloud to the family most every evening in the parlor. Jane was drawn to the sounds and rhythms that words carried when spoken. While recuperating from a long and serious illness she decided that she would read the many books in her Papa’s study including Shakespeare and Swift. After attending a finishing school where she learned French, practiced penmanship, enjoyed music and dancing and generally prepared to be a lady and a wife, Jane bravely decided that her life would instead revolve around writing. When her Papa died she and her Mama and sister needed to move in with her brother. Although she continued to write in a new and exciting way, getting a publisher was very difficult for her as it was for most women. Not until her manuscript about two sisters entitled Sense and Sensibility was published in 1811 did she feel like a real author. BRAVE JANE AUSTEN: Reader, Writer, Author, Rebel written engagingly by Lisa Pliscou with interesting back materials and illustrated with great charm by Jen Corace is a fine introduction to Jane Austen for ages 7-10 ( Christy Ottaviano Books/Henry Holt and Company, 2018). 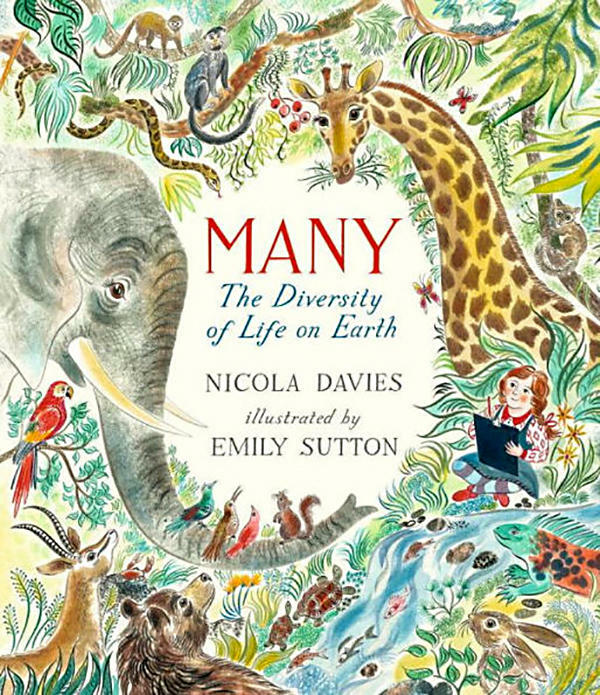 MANY: The Diversity of Life on Earth written by zoologist and author Nicola Davies and illustrated by Emily Sutton is a visually powerful journey through forests, deserts, oceans and streams to find the interconnectedness of all living things. 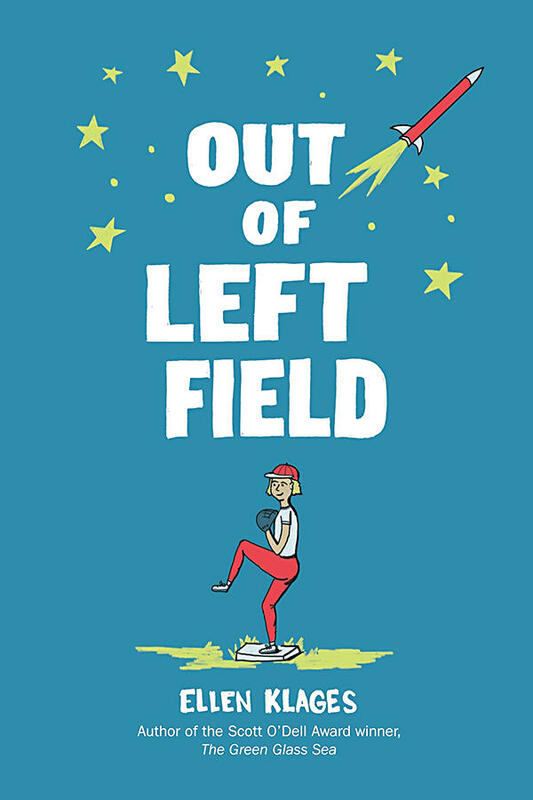 The book’s tour guide is a young determined girl, clip board in hand, who travels everywhere looking and seeing, taking notes and voicing discoveries. 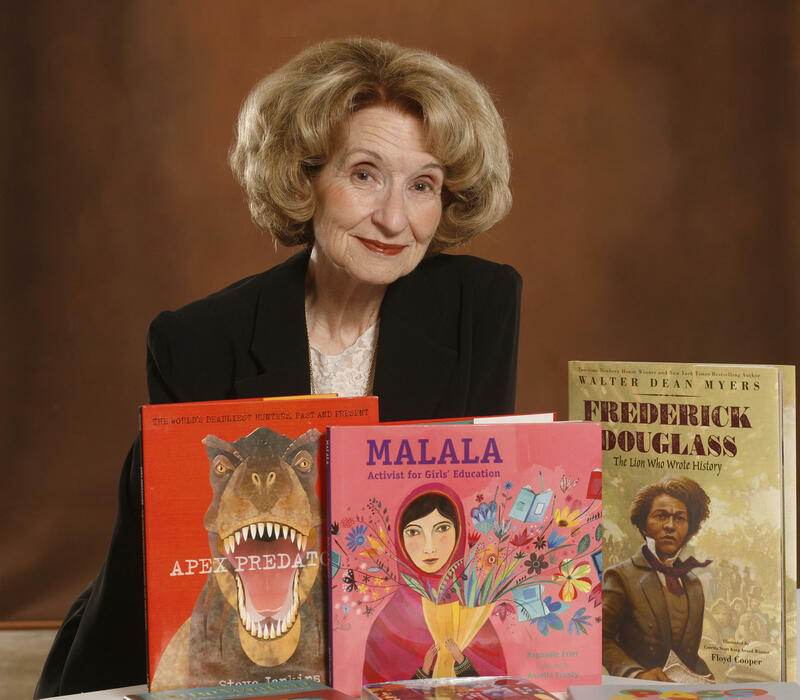 Young readers will find her observations fascinating and genuine. 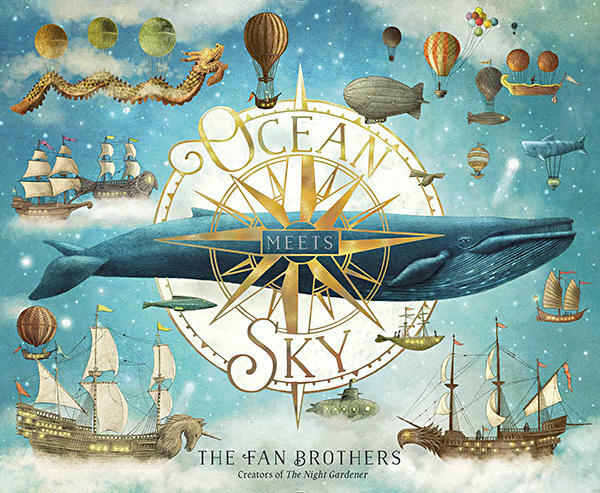 She can be seen in the beautiful watercolors earnestly following her curiosity amongst the trees, the birds, the animals, the insects and the creatures of the sea. She reads books about mushrooms (there are 100,000 different kinds), takes a hot air balloon ride to view birds that live at the top of trees and chases down feather mites with her binoculars. She suits up and dives deeply into the ocean to watch starfish play as angel fish, sharks, stingrays and seahorses swim. There are two pages devoted to over 30 creatures that have been discovered in just the last fifty years! The illustrations will give young readers perhaps their first view of these creatures such as the spongebob fungus, the pignose frog and the shocking pink dragon millipede. The earth’s glorious pattern of diversity of life, however, is in jeopardy from chemicals, deforestation and over fishing. Our young travel guide and scientist-in-the-making sadly studies pictures of species that are already extinct including the Carolina Parakeet, the Tasmanian Wolf and the laughing owl. MANY: The Diversity of Life on Earth written in a gentle style by Nicola Davies and illustrated in exquisite detail and color by Emily Sutton will engage readers 5-8 years of age (Candlewick Press, 2017). The Children's Bookshelf: Hooray For Birds! HOORAY FOR BIRDS! 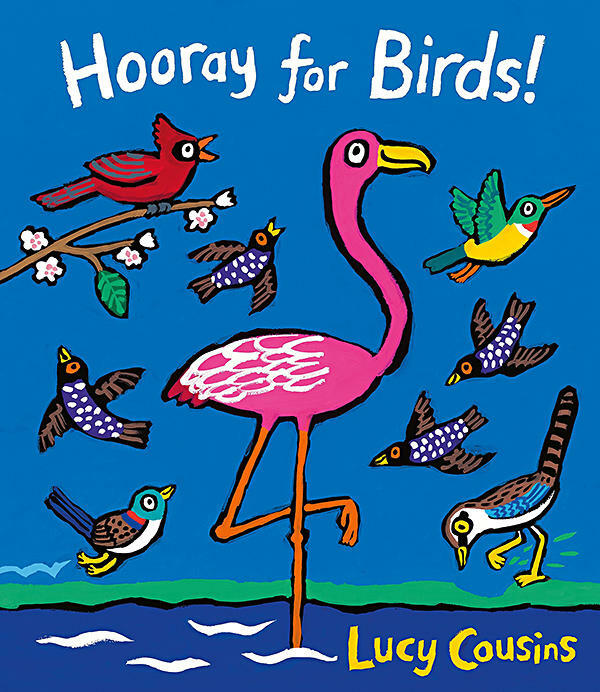 written and illustrated by Lucy Cousins is a happy and fun-filled celebration of birds both in the sky and on the ground. Young children will eagerly interact visually and auditorily to the wonderful pictures and sounds gathered together in this beautiful oversized volume for children 2-5 years of age. The illustration of each bird is rendered in Lucy Cousins’ signature style: bold back outlines and richly-dense colors. The colorful birds fly, sing, catch flies and take care of babies against sunshine yellow, ripe orange, fresh green and deep blue backgrounds. The clever end papers will also fascinate youngsters. On the front end paper all the birds are awake except the owl and on the back end paper all the birds are asleep except the owl. HOORAY FOR BIRDS! written and illustrated by Lucy Cousins is a treasure trove of birds of all kinds, lively colors, movement and sounds for children 2-5 years of age (Candlewick Press, 2017).